Just about ready to fire up after getting radiator and all the hoses on. Need to finish up the carbs yet. Randy, just out of idle curiosity, what sort of power did your RGV250s make at the rear wheel? The dyno I have been going to runs low. 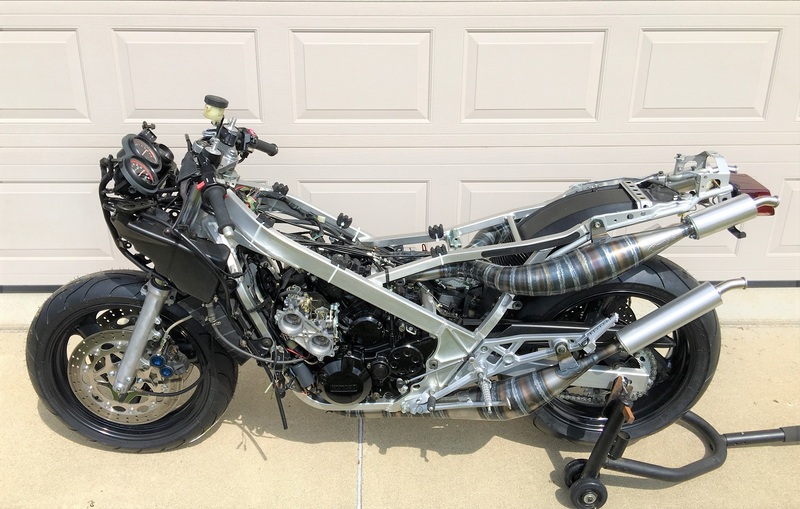 The owner had explained that he had ran a bike on his dyno, then to a dyno north of Chicago on the same day with exact same bike and set up. 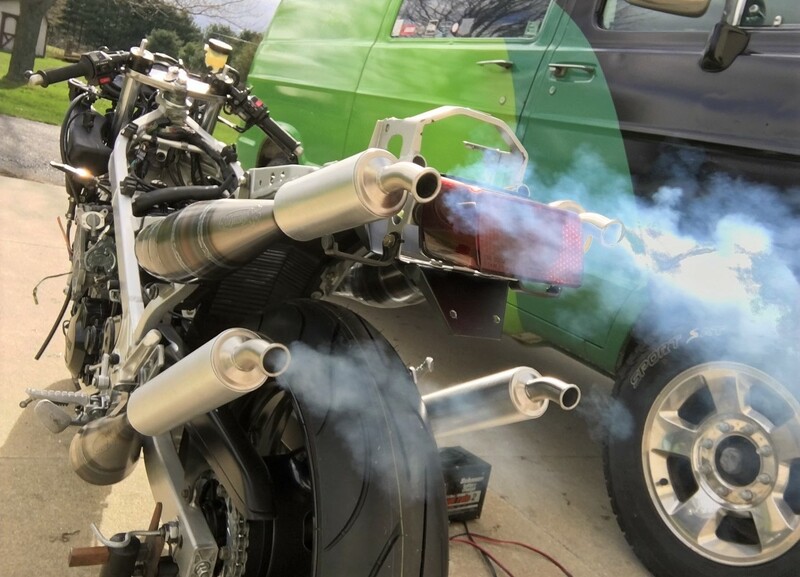 The bike ran a full 10% higher consistently on the Dyno on the north side. This has been proven numerous times he said. My VJ23 ran around 61 at the rear wheel.....bone stock except my Sugaya pipes and Zeel ignition.